Spirit ships first of its cruising range to the U.S. The first of the new Spirit Yachts cruising range, the Spirit 47CR, will be based on the East Coast of America and we caught up with the owner to find out more about his plans for the future and his experience with Spirit Yachts. 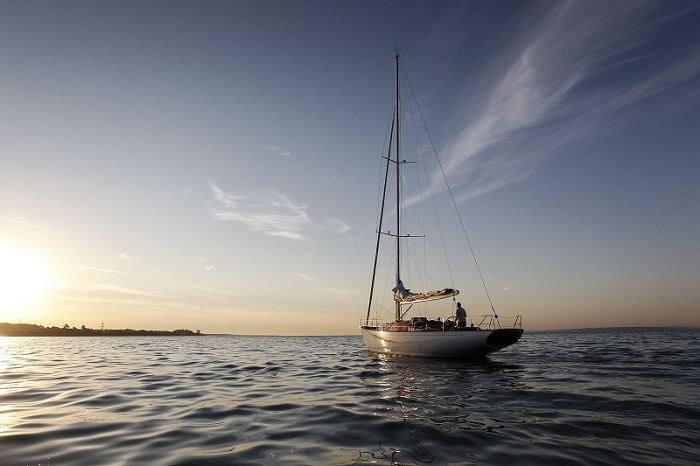 What attracted you to Spirit Yachts? 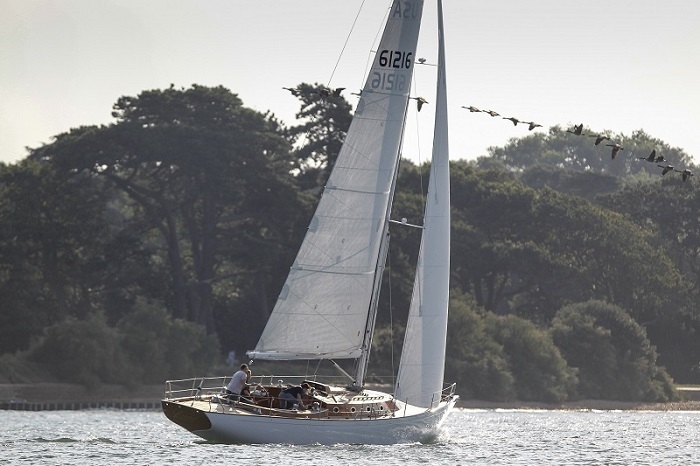 They are stunning, beautifully customised boats, with a classic design that looks like they belong to another era, yet they retain modern performance levels. When I saw my first Spirit 46 at the Newport regatta in 2011 it was a jaw dropping moment, it was at this point that I was determined to purchase my own. The 47CR is the ideal length, neither being too big nor too small, and is a perfect combination for both single-handed sailing or cruising with the family. Spirit Yachts are built for the serious sailor, being fast and aggressive, but the new cruising range allows for family sailing time. What do you enjoy about sailing single-handed? There is something magical about being propelled along in silence and being ‘at one’ with nature when sailing single-handed. When alone, you have time to immerse yourself in the moment with less distractions. Also, being alone 60 miles offshore there is an element of danger as you know mistakes cannot be made. What are your sailing and regatta plans for the future? Well the boat has been customised for offshore sailing. This year I will start by taking it easy getting to know her with some gentle cruising with the family. I intend to sail the Marblehead-to-Halifax Ocean Race double-handed and then cruise back at my leisure with my wife – it’s a 363nm race, a very old but popular race over here. I’m also really keen to race in the Panerai classic yacht circuit in Marblehead and Nantucket. Next year, I would like to race double-handed over in Bermuda before acclimatising myself to some solo racing and possibly also putting a crew together for the Transatlantic Race. I have always wanted to take part in the Fastnet as well, so there is plenty on the horizon and Luna has a serious rig so she’s capable of some really aggressive sailing! Where do you plan on cruising? I will be doing some cruising with the family in the Mediterranean around Italy, Southern France, Greece and Turkey before the children head off to college and then sailing back across the Atlantic. Do you have any dream sailing destinations? There are too many to mention although I would be interested in seeing Hong Kong, but would have to sail back! There are just so many beautiful places which can be appreciated all the more from the water. For me the anticipation and exhilaration stem from the process of sailing to your final destination. 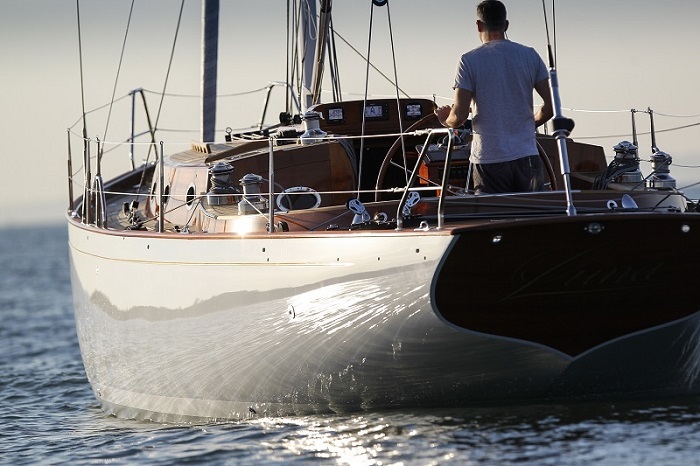 Did you enjoy the design and build process and working with Spirit yachts? The design and build process surpassed all expectations, the team at Spirit care very deeply about their product, always thinking ahead and I could not speak more highly of them. The entire build process was incredible to watch, with meticulous attention to detail and skill shown in the craftmanship as the build evolved. It was great fun to visit the yard and actually watch the boat being built – real poetry to watch, the team that work at Spirit are real artists. Where would you recommend that other Spirit owners explore on the East coast of America? I can thoroughly recommend sailing from Rhode Island to Northern Maine, it’s an incredible cruising area. Cape Cod to Newport is a beautiful area and fun to sail. The beauty of Northern Maine is seriously underestimated, it’s absolutely gorgeous and a terrific area, it can get foggy at times and you have to put up with cold feet as the water is freezing – this is one of the reasons why we installed a heating system in Luna. What is it about Luna that you particularly enjoy? The Spirit 46 was not an offshore boat and I did not want to commit to a 50-footer. I wasn’t actually looking to buy but saw the design for the 47CR on the website which would allow me to sail single-handed as well as cruise as there was still space. I still have a 41-footer but was becoming increasingly frustrated as it was not able to do long distance sailing. The 47CR is big enough yet small enough if that makes sense, with cruising appeal for the family and I had the ability to customise how I wanted her for single-handed offshore sailing. Why did you decide to name your yacht Luna? My wife came up with the name – ‘Luna’ is Italian for the moon and we thought that incorporating the influence of the moon over the tide was the perfect name for our yacht.